Pimco's Bill Gross gets bullish. Sorta. Pimco's Bill Gross says investors should stay in the market, but trim their risk. Pimco bond guru Bill Gross may not be ready to run with the bulls yet, but he's certainly gotten more optimistic. Or as optimistic as Bill Gross can get at least. After telling investors for months why they should stay out of the financial markets, Gross, who runs Pimco's Total Return Fund (PTTRX), is changing his tune. Gross wrote in his monthly investment letter that investors in stocks and bonds have to recognize there are risks. But the alternative is to "quit the game and earn nothing." Gross noted that the Federal Reserve and other central banks have been supporting stocks and bonds through various stimulus programs -- and that is unlikely to change soon. "Pimco's advice is to continue to participate in an obviously central-bank-generated bubble but to gradually reduce risk positions in 2013 and perhaps beyond," he added. Treasury bonds, he says, "are a better bet than the alternative (cash) as long as central banks and dollar reserve countries (China, Japan) continue to participate." Rather than his usual musical references, Gross used the "Good as Money" ad for Twenty Grand Cognac as his inspiration. "Being a beer drinker, and never having cashed in a Budweiser to pay for a fill-up at the local gas station, I said to myself 'Man, that must be really good stuff.'" "It seems the definition of money has been extended, not perhaps to a bottle of Twenty Grand Cognac, but at least to some other rather liquid forms of near currency," including money market funds, stocks and Treasuries that can be converted rather quickly into cash. But Gross worries that these investments may not turn out to be "good as money" if the bubble bursts. 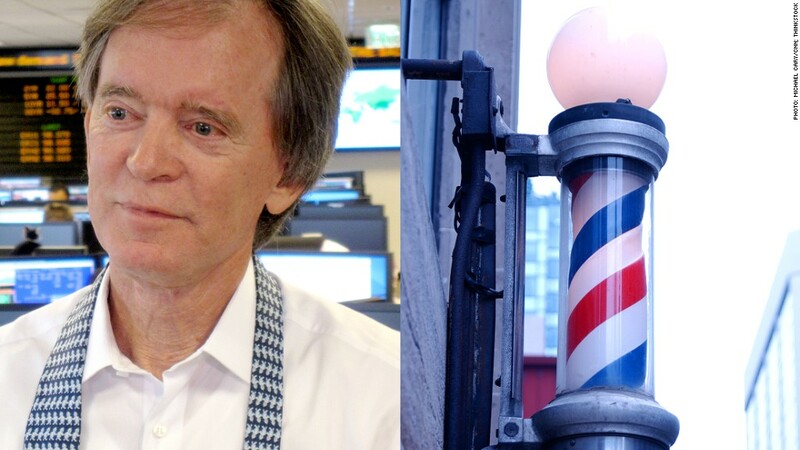 Even if stimulus programs around the world, and near zero-bound yields help boost the global economy, Gross says the revival will be done through haircuts. Along those lines, the title of Gross' latest outlook was "There Will Be Haircuts", which appears to be a nod to the movie "There Will Be Blood." "These haircuts are hidden forms of taxes that reduce an investors' purchasing power as manipulated interest rates lag inflation," he said. Those actions "theoretically reduce real debt levels as well as excessive liabilities of levered corporations and households." But they can also be viewed as "a hidden wealth transfer." Gross specifically called out four such haircuts. First up, negative real interest rates, or as Gross calls it "trimming the bangs." While central banks have been doing all they can to inject some life into the economy, the Treasury's average cost of money keeps grinding lower. At some point, Gross feared that investors may find themselves paying the government to keep their money "safe." More pop culture references followed. Gross called the risk of inflation and currency devaluation the "Don Draper," referring to the "Mad Men" character's style (and inflation worries) as "something that's been around for a long time and we don't really give it a second thought." Gross also fretted about the likelihood of more capital controls from governments, such as the controversial tax on bank deposits in Cyprus. Finally, he said that outright default by governments whose central banks are buying stocks is a possibility. His concluding advice? Don't completely bail on stocks or bonds. But start to cut back ... unless you want to get slaughtered like customers of the murderous barber of Broadway fame. "Give your portfolio a trim as the year goes on," Gross wrote. "In doing so, you will give up some higher returns upfront in order to avoid the swift hand of Sweeney Todd. There will be haircuts. Make sure your head doesn't go with it."